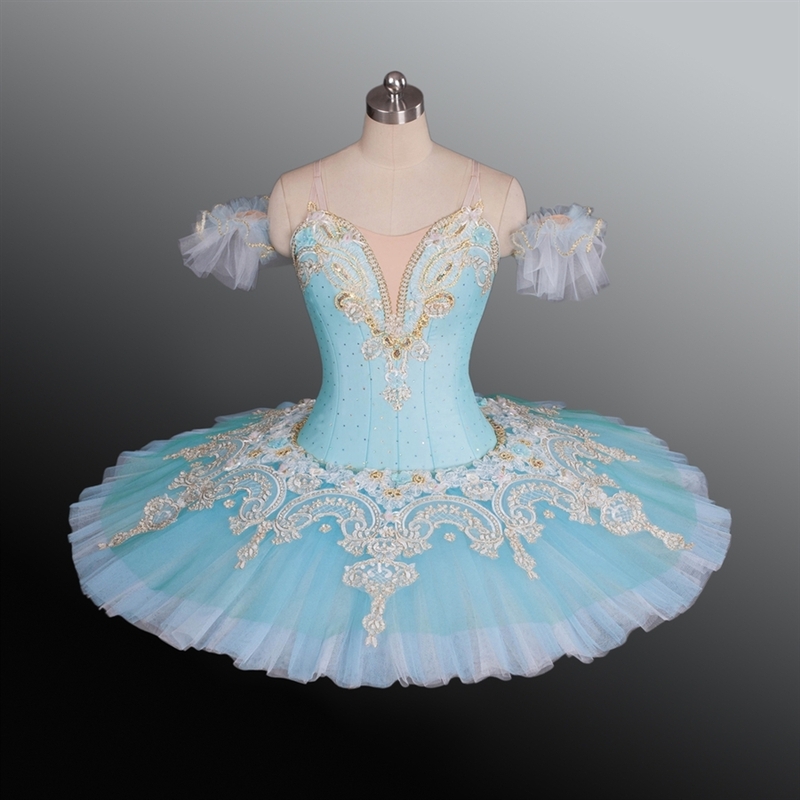 • Aqua green is the primary colour of the tutu, soft blue top layer over the white and blue contras tulle, which gives a lively look. glitter gold and white trimming surrounds the perimeter of the top layer, delicate embroidered flowers & vines encircling towards the centre of the skirt. a heart touch piece. 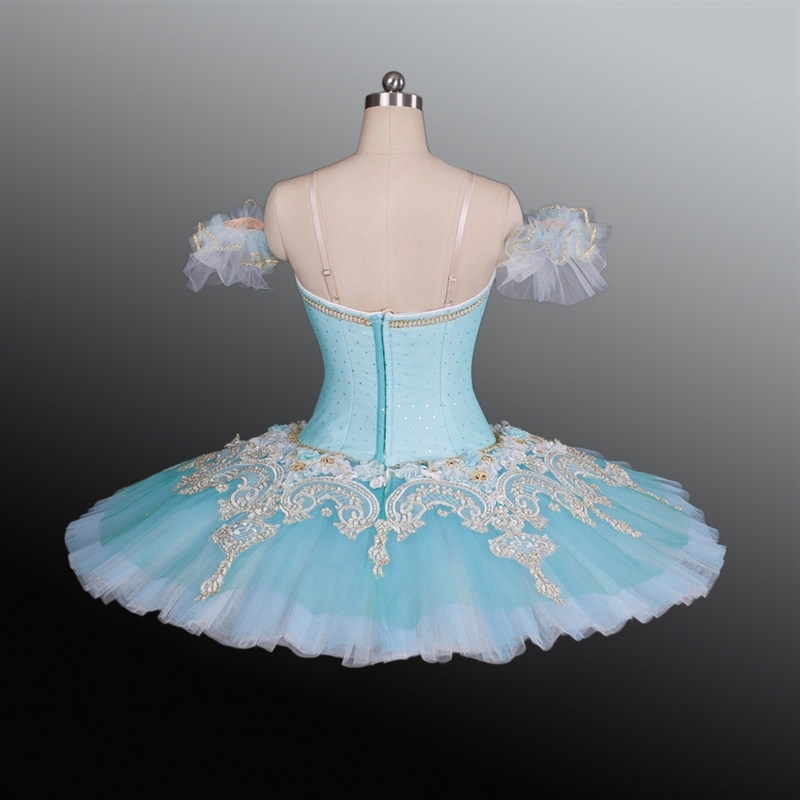 • Camisole Aqua green bodice is made of high quality spandex Lycra which is fully lined. 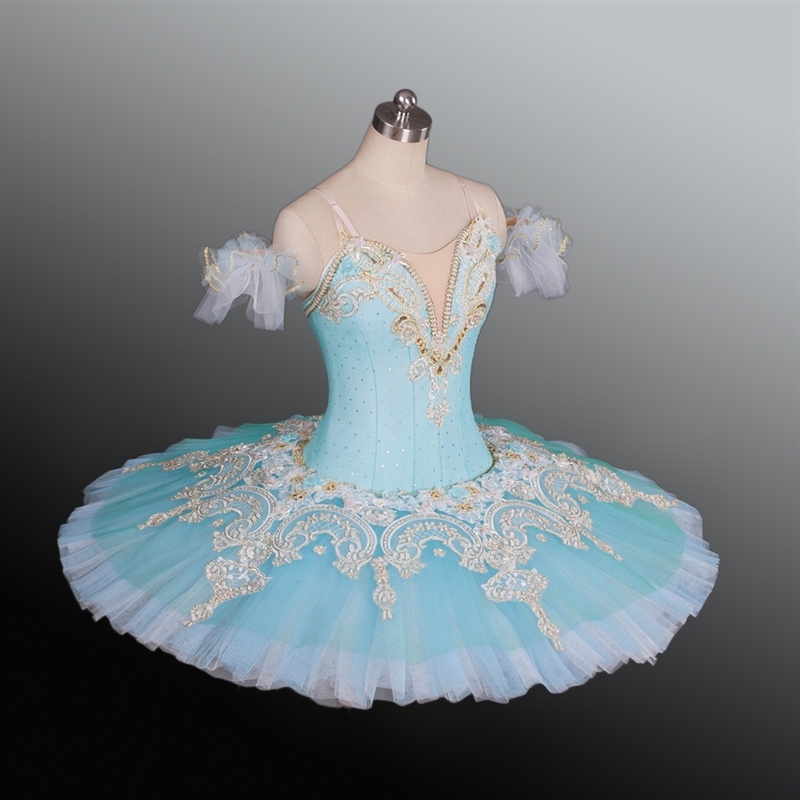 golden and white embroidered lace motif with gorgeous rose buds all hand sew on match perfectly with the tutu.